Well quite. But just you try getting through Bristol. Have you been able to file some FCS1521 with the CAA? Have they provided some feeback? No. It isn't theirs to sell back to me. It is ours to rent out to them. 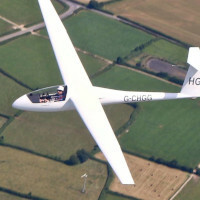 AlanM wrote: Go on then Paul mate - some examples of where VFR are separated. As for Class D, if VFR was allowed to provide its own separation then there wouldn't be conditional access at all, it would be automatically granted on establishing two way communication as it is in some other countries. The usual reply is, "Yes, but duty of care..." which is all very well, but it means that VFR is effectively separated. There's probably something in that Mats Part 1 thing mentioned a few posts back! Gatwick seem to do quite a good job of operating Class D as it is intended with no formal separation minima - they simply pass traffic information and instruct the VFR aircraft to "arrange your flightpath to pass above and behind the 747 on a 3-mile final". I generally comply with 1000' vertically and 0.1m laterally. No adverse comments thus far, and they keep giving me the clearance. xtophe wrote: Have you been able to file some FCS1521 with the CAA? Have they provided some feeback? I have filed a couple of FCS1521, however they appear to go into a black hole. Not even an acknowledgement never mind an explanation. FOI request to find out what they did about it? Having it on TCAS doesn’t count for anything. For visual separation the other traffic needs to be seen out the window with Mk 1 eyeball by, depending on circumstances, the pilot(s) and/or controller. Fortunately a 747 at less than a mile is quite easy to spot! Thin end of the wedge - on other VFR charges. Need to go into CAS to clear weather etc., I ask and have never been refused. VFR here is not above 8,500 on 2992 though, not sure my airplane would get up to 18,000+ but I have been over 10,000 for prolonged periods and occasionally, briefly over 13,000. We do have odd working here though, in effect controlled all the time, discrete transponder codes and in effect flight following even if not requested. I like it, very few airplanes down here, 99% of the time over water so it is a comfort. What happens if the UK if you request a special VFR into controlled airspace? Does it tend to be refused? If not would a charge let you in or would it still depend on if they are busy. If the latter you would be oaying for something that is currently free? "golf whiskey foxtrot tango, please say again your long card number"
Mike Tango wrote: Having it on TCAS doesn’t count for anything. For visual separation the other traffic needs to be seen out the window with Mk 1 eyeball by, depending on circumstances, the pilot(s) and/or controller. Thanks for your explanation, though to be honest it doesn’t really have too much in common with my own understanding of both ATC around Gatwick or TCAS use/operation. The purpose of the Tweet referred to in the original post was not to put forward an AOPA idea but to test the reaction to such an idea should it ever be proposed by the authorities. Why now? The CAA are looking at airspace modernisation, including how to integrate other users, such as drones and "flying cars", safely with other airspace users. We all know that modernisation will cost money, so it might be expected that eyes will be cast towards GA to "pay their share". Whispers to this effect have been heard from some quarters already, so Martin is trying to keep ahead of the game and start to gauge how strong the view of GA is should such a proposal be put forward at some point. Sorry @Lefty - this is not a crackpot AOPA idea so you can safely join now and help fund the GA voice.